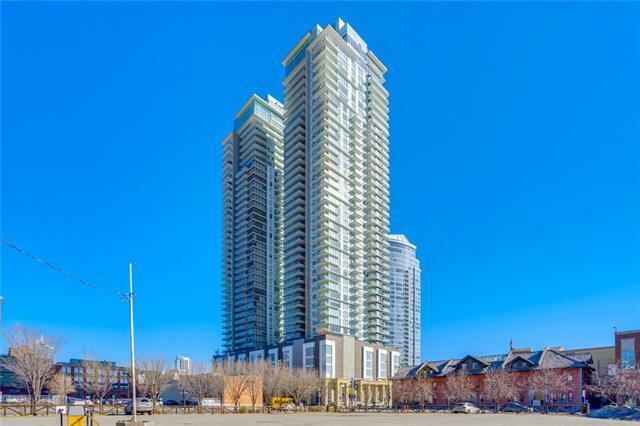 Live in luxury in the breath taking 44 storey tower of The Guardian! 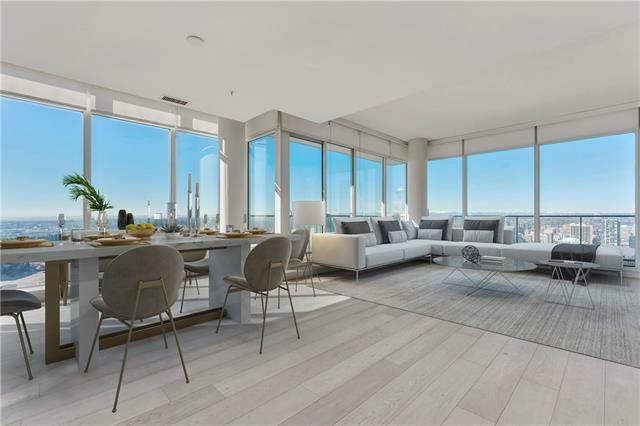 The second largest of only three residences on this Paramount Suite floor, Suite 3702 boasts an exceptional floor plan with floor to ceiling windows and panoramic city, mountain and downtown views with expansive wrap-around balcony. 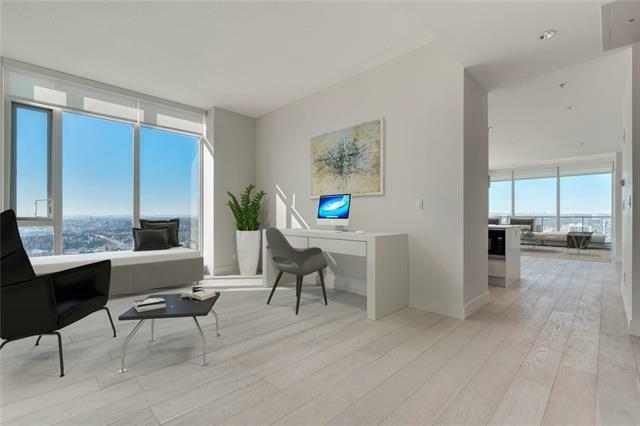 Featuring 1,700+ sq. ft., 2 bedrooms, 3 full baths, spacious media room/office, storage and two titled parking stalls. 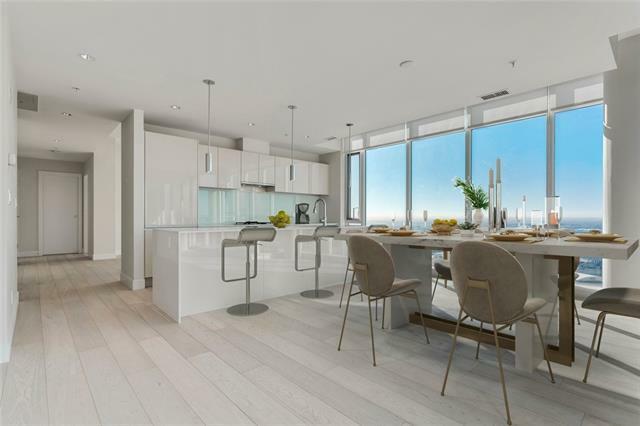 Entertain in style with modern, open concept design and luxurious finishes including wide plank hardwood, travertine tile flooring, porcelain wall tiles, Italian Armony Cucine cabinetry, quartz counters and integrated Miele kitchen appliances. Each bedroom features ensuite bath and master suite dressing room is a dream with custom built-ins. Building amenities include state-of the-art fitness centre, resident's lounge & garden terrace, concierge & security. Be part of the resurgent Victoria Park - close to downtown, Stampede Park and Saddledome. Live in luxury, entertain in style.